Gaze out over Paris from atop the Eiffel Tower. 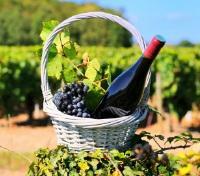 Taste France’s finest wines at famed Bordeaux vineyards and Provence’s top wineries. 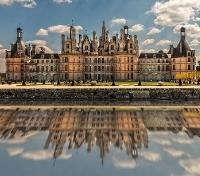 Explore the enchanting medieval castles of the Loire Valley. Tour the Grand Prix circuit in glamorous Monte Carlo. Enjoy private rides and a handpicked selection of premium accommodations. France has something for every sense: the sight of the elm-lined Champs-Élysées lit up at night, the sound of church bells ringing out over Avignon, the full-bodied flavor of a ruby-red Bordeaux, the aroma of fresh-from-the-oven baguettes, the feel of centuries-old cobblestone beneath your feet. The world’s number-one travel destination has enough experiences to fill several lifetimes, and the greatest challenge facing a visitor is deciding what to do first. This far-ranging trip touches five of the country’s most beloved regions — Paris, the Loire, Bordeaux, Provence, and the Côte d'Azur — with signature experiences in each one. With your private guide and driver, embark on a half-day exploration into the history of Paris, while bearing witness to all of the must-see highlights in the City of Lights. Make your way to Ile de la Cite, where the medieval city was focused, and where you can admire the cathedral of Notre-Dame, one of the most famous Catholic churches in the world. In Le Marais district, a chic quarter known for its food, you can see the stunning Place des Vosges, a historic planned square formerly populated by Parisian nobility. 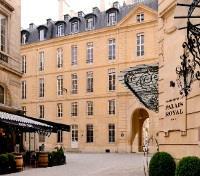 After, make your way to see the courtyards of the world famous Louvre, the largest palace and museum in Europe. Admire breathtaking architecture while your guide stimulates the imagination with tales and legends from the palace's past. Continue on to learn about Paris at the time of Napoleon as you see the imposing Arc de Triomphe on the renowned Champs-Elysees, then learn about the World's Fair held in 1900 as you head over towards the Eiffel Tower, and Trocadéro – which boasts the best view of the Tower in the entire city! Head up the Eiffel Tower with your guide, and see the city's true beauty from the third floor observation deck, where the views are remarkable. 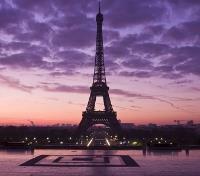 Please note: Eiffel Tower tickets are subject to availability. Depart by train from Paris to Amboise. Approximate travel times range between 1 hour to 2.5 hours, depending on scheduled departures. Le Choiseul is a boutique castle hotel in Amboise, comprised of three charming manor houses dating from the 15th-18th centuries. 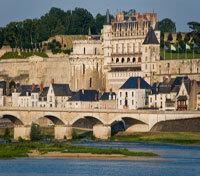 With an idyllic location overlooking the River Loire, Le Choiseul sits at the foot of the iconic Château d’Amboise. Close to most of the Loire Valley’s finest châteaux, the hotel has beautiful terraced gardens bordered by Troglodyte caves, stunning river views and the choice of two exciting restaurants. The atmosphere is peaceful and relaxing, with 28 light and airy guestrooms featuring antiques and attractive classic furnishings. 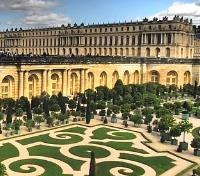 Wander around the delightful gardens to admire the Italian sculptures, dine at the on-site gastronomic restaurant while looking out across the Loire, or take to the terrace for a glass of Vouvray Moelleux. Welcome to your peaceful Loire Valley retreat. Spend the day exploring the castles and wineries of the picturesque Loire Valley in the company of your private driver-guide. After being picked up from your hotel, you'll first head to the 16th century Chateau de Chenonceau, visiting one of the most iconic chateaux in the Loire Valley. Built in a Gothic-Renaissance style, and existing in entirety over top of the River Cher, this stunning white castle is known as the ladies castle for having ties to famous French women, one of which being Catherine de Medici. The magnificent Renaissance gardens are rather spectacular, and feature an old medieval keep, the last vestige of the original 12th century castle structure. 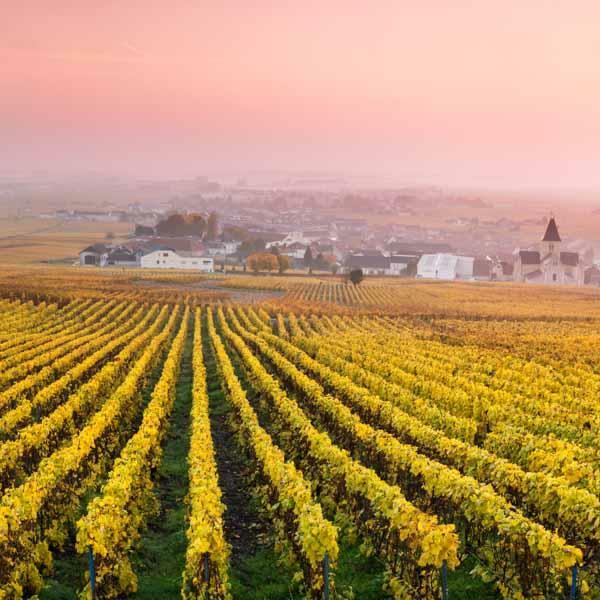 Continue to the town of Cheverny where you'll take a tour of a local winery, and delight your palate with a wine tasting of a Cheverny wine, the favorite wines of King Francois I. In the afternoon, you'll make your way to the magnificent Chateau de Chambord, visiting the masterpiece of the Loire Valley chateaux. Built in the 17th century by Francois I, it's the second largest castle in all of France, featuring 440 rooms of opulence, and an unimaginable 365 fire places- one for every day of the year. Conclude your day on arrival back to Amboise. 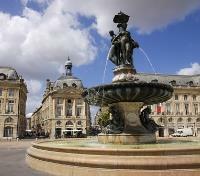 Meet your private driver and vehicle for a transfer to Bordeaux. Approximate travel time is 3.5 hours. The lavish InterContinental Bordeaux Le Grand Hotel faces the impressive Grand Theater, and is located within the Golden Triangle, the finest shopping and pedestrian area of Bordeaux. Elegant as it was in the past, respecting its colorful history and offering the finest world class hospitality, InterContinental Bordeaux Le Grand Hotel offers luxury guestrooms and suites equipped with the latest technology, and finer touches like heated marble bathrooms. Guests are invited to rejuvenate with some personalized treatments at the on-site spa, while a gastronomic journey awaits the gourmands, with a pair of marquee restaurants by celebrity Chef Gordon Ramsay. Enjoy a full day small group tour accompanied by a driver-guide through the Medoc wine region, where some of the most famous wineries of Bordeaux are located. Meet outside the central tourism office of Bordeaux and depart in a vehicle alongside no more than 19 other participants, traveling with a driver-guide along the famed castle road through renowned appellations such as Margaux, Saint Julien, Pauillac or Saint Estephe, where you can spot some of the most famous chateaus such as Chateau Margaux, Chateau Palmer or Chateau Pichon Longueville. Designed as an introduction to the wines and blends of the left bank in which Cabernet Sauvignon is king, your day will consist of visits and wine tastings at three prestigious classified growth Chateaus of different appellations. During these visits you'll learn all there is to know about the history of the estates, the wine making process as well as the techniques used during the wine making. Conclude your day with a return transfer to the tour's initial meeting point. 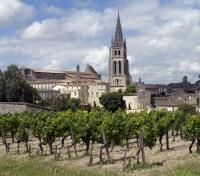 Meet your private driver-guide and set out on a full day tour of the UNESCO World Heritage-listed town of Saint-Emilion. Also a renowned appellation, Staint-Emilion is a principal red wine area of Bordeaux, where famous wines Beauséjour Bécot, Villemaurine and Franc-Mayne are produced. Just an hour from the town of Bordeaux, Saint-Emilion's wine history dates back 1700 years, when Romans used the land to plant vineyards back in the 2nd century AD. In the afternoon, you'll visit three Classified Growth chateaux of Saint-Emilion, tasting and learning the unique characteristics of different wines of the appellation, while your morning is spent on a walking tour of the medieval town, an open-air museum. Admire the 8th century church which towers over the rest of the village, and learn of the underground monuments hidden below street level. Return to Bordeaux at the end of your day. Depart by train from Bordeaux to Avignon. Approximate travel time is 6 hours, typically with a connection in either Arles, Nimes or Paris Montparnasse. 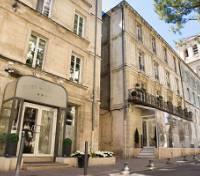 The charming Hotel de L'Horloge is set in a 19th century building overlooking the picturesque Place de L'Horloge in the historic center of Avignon. Here, within walking distance of the UNESCO-listed Palais de Papes and the iconic Pont d'Avignon bridge, 66 modern and cozy guestrooms await, all traditionally furnished with a soft color scheme, many boasting excellent views into the city. The doors of Hotel de L'Horloge open onto many restaurants, café terraces, and narrow cobbled streets, offering an ideal location from which to explore the treasures of Avignon and Provence. Meet your private driver-guide and transportation for a half-day tour which takes in the historic Roman city of Orange, and the wine of the Rhone Valley. 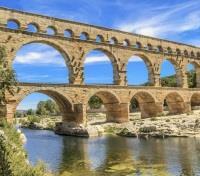 First, head to Orange for a panoramic tour of this ancient city, dating back over 2,000 years. Gaze upon the stunning Triumphal Arch of Orange - a UNESCO World Heritage Site and a symbol of the glory of Roman imperialism in antiquity. Also sharing in the UNESCO World Heritage title is the Roman Theater of Orange, one of the most well-preserved theaters of the Roman Empire, a relic from 20 centuries ago. Visit the 7,000 seat venue which brought the people together, and distracted them from the political agenda of the day with spectacle and entertainment. From here, take a scenic drive through the vineyards between Orange and nearby Chateauneuf-du-Pape, stopping to enjoy a guided wine tasting in a local cellar, offering a nice introduction to the wines of the Rhone Valley, with explanations on the terroir, grape varietals, vinification, and aging cellars. Conclude the tour on arrival back to Avignon. You will be picked up from hotel by an English speaking driver-guide for a small group excursion exploring the beautiful villages and countryside of Provence. Head to Roussillon, built at the top of an ocher cliff, and providing visitors with a beautiful understanding of the harmonious combination of man and nature. Continue to Gordes, a village erected on the top of a cliff. Its fortified castle and church dominate the typical houses of the village which were built with stones from the rock on which they are sitting. Drive to Fontaine de Vaucluse and walk up to the cave from which the River Sorgues emerges. This impressive resurgence spring hasn't revealed its secrets yet and many speleologists have searched in vain the exact depth of the well. Visit UNESCO World Heritage-listed Pont du Gard - the most well-preserved aqueduct of the Roman period in France, dating back 2,000 years, before stopping off at the picturesque medieval hilltop village of Les Baux de Provence, with its historical center, beautiful 16th century houses, and Romanesque St-Vincent Church. 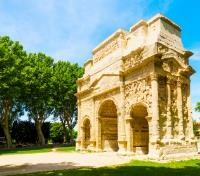 Make a photo stop at the triumphal arch and mausoleum in Saint Rémy de Provence, located in an olive grove, before returning to Avignon. Depart by train from Avignon to Nice. Approximate travel time is 3.5 hours. One of the jewels of Nice is its boardwalk, the Promenade des Anglais, which parallels the azure waters of the Mediterranean. With time at leisure, why not venture over to take in some of the refreshing sea breezes and even dip your feet in the water. It's typically warm enough to swim in year-round, and you're sure to see locals and visitors alike taking advantage. Hotel La Pérouse is located at the foot of Castle Hill, in the heart of Nice, with a breathtaking view of the legendary Baie des Anges (Bay of Angels). 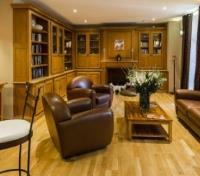 Here visitors can enjoy classic Mediterranean style with contemporary comforts, and an air of seclusion. The rooftop opens up to a picturesque terrace surrounded by the gardens of the Castle Hill, and with majestic views of the sea. An on-site restaurant rests under lemon trees in the cool atmosphere of a genuine Mediterranean garden, while the hotel's 56 guestrooms offer the ideal quiet and peaceful setting to enjoy your time on the French Riviera. Depart your hotel in the company of a driver-guide and a small group of up to 8 participants, heading out on an evening tour to the glamorous town of Monte Carlo in Monaco. Depart Nice along the coastal road with its quaint villages, marinas, and panoramic viewpoints, stopping en route at the charming medieval village of Eze and for its amazing view, before joining the famous Grande Corniche road leading to Monaco. Tour the Grand Prix circuit and then enjoy a 3-course dinner with a glass of wine or soft drink on the terrace at Le Café de Paris, overlooking the Grand Prix circuit below. 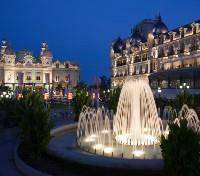 There will be time at leisure to enjoy the chic atmosphere of Casino Square as you see fit before returning to Nice. While most of the casinos have free entrance, anyone wishing to enter the Grand Casino (entrance payable on the spot) must have a valid passport and business casual attire. 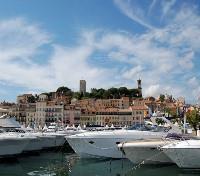 Departing from your hotel, enjoy a full day small group tour of the French Riviera and the medieval villages beyond. In the company of a professional driver-guide, and alongside no more than 8 participants, you'll first head to Cannes where you'll get to stroll the famous Croisette Boulevard, contemplating red carpet glamour as you pass the Film Festival Palace, designer shops and smart, sandy beaches. 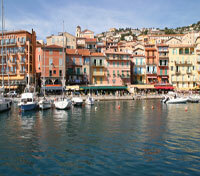 Drive through the charming inland countryside of Provence to Grasse, world capital of the perfume industry. 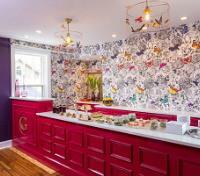 Here you'll be treated to a guided tour of a perfumery, revealing its secrets. If scents aren't your thing, take a stroll through the old town, home to an 11th century cathedral. 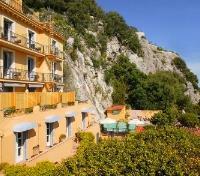 Then, view the Alps, valleys and spectacular coastline from the perched medieval village of Gourdon, the balcony of the French Riviera. Wind down the charming Loup Gorges to a Provencal jewel: Tourrettes-sur-Loup, for a photo stop with its Romanesque buildings. End the tour in the most visited village in France: Saint-Paul-de-Vence, former home of impressionist painters, with its ancient cobblestone lanes, ramparts and art galleries. Conclude back at your hotel. 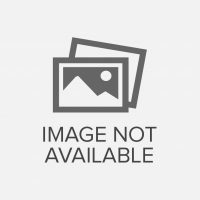 Airport transfer with private vehicle and driver. (A supplement for transfer between 8pm and 7am may be charged).